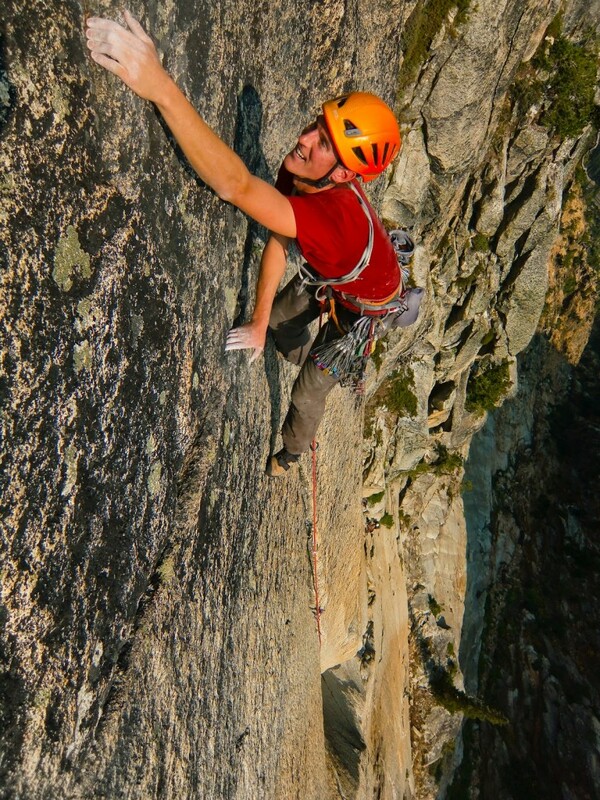 Mike Pond on a late-season ascent of the Ellen Pea route – Supercave Wall. November is, without a doubt, the worst month to be a climber, skier, or hiker in the northwest. But November is still a few weeks away. The one silver lining to what is generally a rainy, cold, and not-yet snowy season: it provides a great opportunity to rest and recover from one of the best times of the year to go hard, late September and October. Although October is traditionally associated with hard lowland rock climbs, pushing grades, and good redpoint conditions, September and even October can provide opportunities for late-season alpine rock climbing as well. You’ve just got to narrow your list of climbs, and focus on strategy and timing. Multi-day trips into the Pasayten, or Picket Ranges will be tough to manage during increasingly short days and unsettled early-fall weather. Instead, look to more difficult, steeper, faster-drying, and faster-approached alpine rock climbs which might have been too hard to tackle earlier in the season, but are in reach after a summer on the rock. There are a few general rules to bear in mind, including some changes in how to approach routes as the season wanes. North ridges (of anything) are out. Cross those off the list. West faces of bigger peaks will also generally be too cold, staying hidden and shady too late in the day to allow for climbable conditions. Bring an extra layer of insulation, but leave behind the rain jacket you kept handy during spring. Consider toting a jetboil or reactor up to the base of the climb for hot soup or drinks before you start climbing. Focus on late-day ascents of shorter west-facing aspects or, with an early start, try east and southern-facing walls and peaks which can be climbed quickly. A route such as Rebel Yell, on Chianti Spire, might be best done as a day trip in July, when warmer temperatures and fierce bugs work against the desirability of a bivi under the peak. But this time of year, adapt your plans to soak in the scenery with a high camp, and reach the climb just as the morning sunlight does. In the Stuart Range, the best choices would be Acid Baby or The Valkyrie, both excellent 5.10 routes on the 1,000’ tall Aasgard Sentinel. (These both get afternoon and evening sun, so don’t bother with a pre-dawn approach.) And if you’ve never been up onto the Enchantments Plateau amid golden Larches (and 0 mosquitos!) the South Face of Prusik is warm enough to climb in late season as long as clear skies keep the sun shining. For Washington Pass and the northern Cascades, consider the lower-elevation south and west facing routes of the Twin Sisters Range, the South faces of Big Kangaroo, South Early Winter Spire, and Cutthroat Peak. Fast parties will be able to chase the sun all day, with a linkup of an east-facing morning route, and a west-facing afternoon climb in the Liberty Bell group. The Supercave Wall, which faces south opposite the Wine Spires, is perhaps the most sheltered and sunny wall in the area, and sunny-yet-cool conditions would be ideal for its techy and intricate climbs. The difference between a 90-degree mosquito-swarmed day in July and a brisk, cool, and tacky “Sendtember” morning can be hugely beneficial to completing a new personal best onsight or finishing a long-standing alpine project. The shorter days and colder nights make it easy to want to throw in the towel, but give that dream route another go. Your lazy and bored November self will thank you.